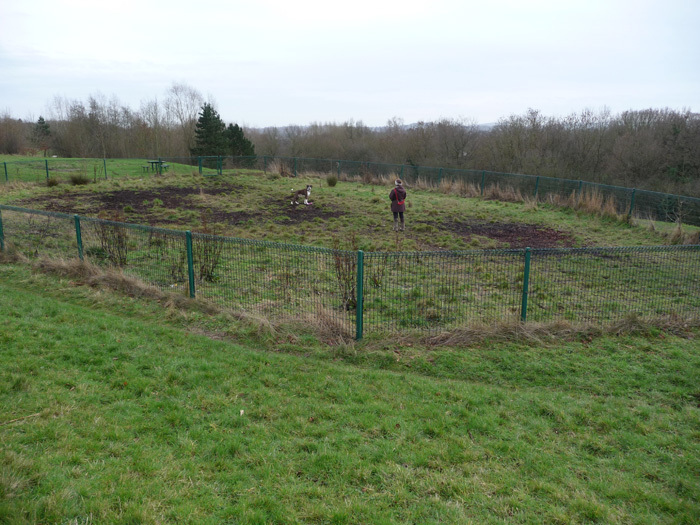 You may use this area for training or exercising your dog where you need a secure place. This is one of the old play areas that are no longer used for that purpose. It is to be found towards the east end of the park near Green Farm flats.